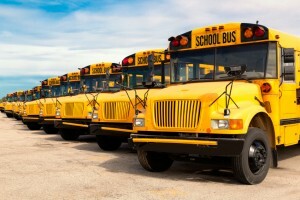 From the playground to the school bus, the benefits of two-way radios are utilized by many school systems to keep things in order. All thanks to the benefits they provide, like safety and security for students and staff. Two-way radios are used from the start of the day when traffic requires directing to the end of the day when the school traffic returns, and it’s not just traffic. Throughout the entire school day two-way radios serve an assortment of purposes on campuses all around the nation. Daycare centers, elementary schools, high schools and even colleges rely on two-way radio technology. There are so many benefits to two-way radios for schools; here are 4 of the most important of all. School traffic is a staple in life. Everyone arrives around the same time making campus parking lots and adjoining streets unavoidably congested. It’s not just automobiles that need to be properly directed; at the start and end of any school day there are plenty of pedestrians out on the street as well, largely including kids. Campus traffic directors must keep everyone moving in the right direction while also looking out for the safety of often-unpredictable kids. Two-way radios help make communication easier amongst traffic directors so that everything flows smoother. There’s no way to direct several intersections of traffic without multiple people on guard, all of which need to communicate in order to prevent injury or accident. The benefits of two-way radios help to reduce the risk for error, and help speed up the pick-up and drop-off process. If there is an issue out on the road two-way radios offer a quick way to contact a teacher, staff or school nurse without leaving the job at hand. Schools and two-way radios have long since gone together, but there is a new trend in how they are being used. More schools are starting to equip each classroom with two-way radios so that teachers have access to a broad communication system in the instance of an emergency. School emergencies are not everyday occurrences but they do happen. If a classroom is put on lock down, or if a storm or tornado blows into town, individual teachers need reliable communication to protect their classroom of kids. Equipping all staff with two-way radios offers the perfect way to quickly get in touch with everyone at one time, something no phone system can offer. School bus drivers also rely on two-way radios to communicate with school officials as well as other drivers. Take off and arrival time, traffic issues or problems with a particular student on board the bus can all be communicated to the appropriate personnel via two-way radio. Kids don’t just take the bus to and from school. Buses are also used for field trips and other school-related events as well. Having some form of quick and easy communication is a must no matter where a bus full of school kids is headed. According to the official Bus Driver Handbook, a number of things must be reported immediately using a two-way radio, such as if you are running 15 or more minutes behind schedule. A common issue arises when buses exit the service area provided by a certain radio range. As a result, the radio will no longer work to communicate with appropriate parties. Our Wide Area coverage offers the perfect solution by providing 300-miles of two-way radio service stretching from Jacksonville to Florida Keys. Every campus has a number of hallway monitors and other security personal on staff to ensure safety. 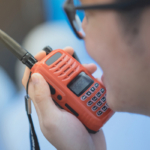 There are many instances when a two-way radio comes in handy, for example if a student is caught attempting to ditch or engage in other bad behavior, or if there is an unknown intruder on campus. Schools tend to be on the larger-side but two-way radios help make any campus feel smaller by making instant communication with anyone possible. Two-way radios have remained the go-to tool schools use to communicate between different departments spread throughout the same campus. 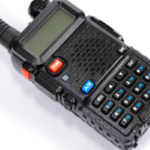 What is the best two-way radio for your school? 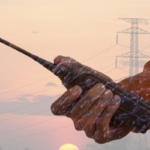 If you only need to communicate on campus a low-range two-way radio may do the job. If the same radio system is used for buses traveling greater distances our Wide Area Network “Florida Fleet Talk” might be the better option, expanding your communication zone by hundreds of miles. Single channel radios may work in some situations, but if more than one group needs talk capabilities (which most schools do) a multi-channel model is your best bet. 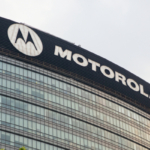 Highland Wireless offers a number of the best Kenwood radios and Motorola radios for schools. Our wide area network Florida Fleet Talk spans from Jacksonville down to the Keys. Contact us today to set your school up for communication success!